The city of Frisco, Texas, sits in an area that experienced severe drought from about 2011 to 2015. They faced extremely restricted water supplies, and formulated programs to reduce unnecessary consumption. Frisco’s WaterWise emails provide lawn watering advice based on data col­lected from the city’s weather station and rain gages. The weather instru­ments include a datalogger, sensors, phone modem, and tower from Campbell Scientific. This weekly information can help citizens maintain their landscape and water more efficiently. 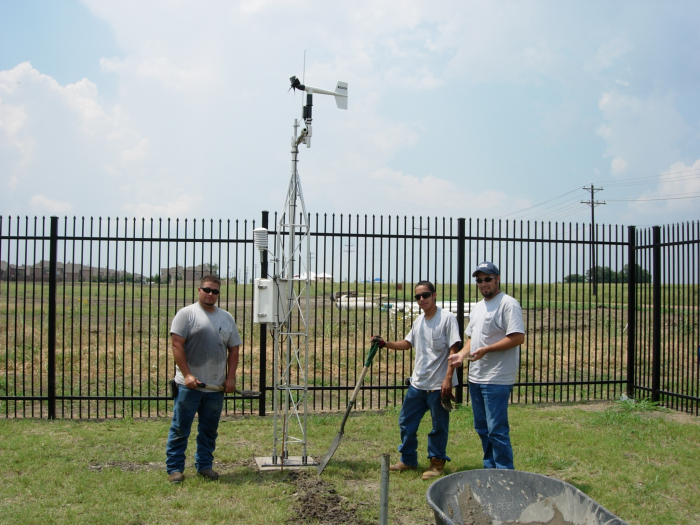 Another popular, yet critical component of Frisco’s Smart Irrigation Program is the free irrigation checkup. During a checkup, residents learn how to detect and repair broken or misaligned sprinkler heads, adjust system schedules, and retrofit existing systems with "smart controller" devices. As of 2016, city irrigation specialist Mike Barth says he had performed approximately 3,500 irrigation system audits since the free program began in 2007.